Derek Davis had not been on the Syracuse University campus more than a week in 2015 before being swept up in the excitement of a once-in-a-lifetime discovery that would thrill the astrophysics world and thrust the gravitational-wave research community onto front pages around the globe. The detection of gravitational waves emanating from the collision of black holes in deep space satisfied a long-unsettled prediction of Albert Einstein’s towering Theory of General Relativity. It was a heady time for those dedicated to probing the mysteries of the cosmos. And Davis, who is on track to earn a doctorate in physics from the College of Arts and Sciences this spring, was no exception. 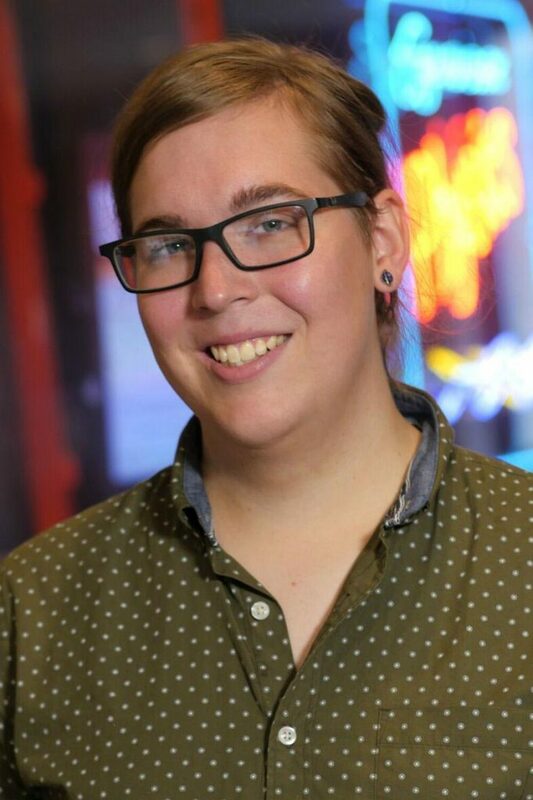 Three years later, Davis’s efforts to further advance the capabilities of cosmic research have earned the doctoral student recognition from the international LIGO Laboratory based at Caltech and MIT. The LIGO Laboratory in November named Davis an inaugural winner of the LIGO Laboratory Award for Excellence in Detector Characterization and Calibration. Davis shares the award with T.J. Massinger, now a postdoctoral scholar at Caltech who earned his Ph.D. in physics from Syracuse in 2016. The award, which comes with a $1,000 cash prize and a chance for the winners to present their work before fellow LIGO scientists, recognizes outstanding early-career researchers who “have made impactful contributions to gravitational wave astrophysics” through detector characterization or calibration research. 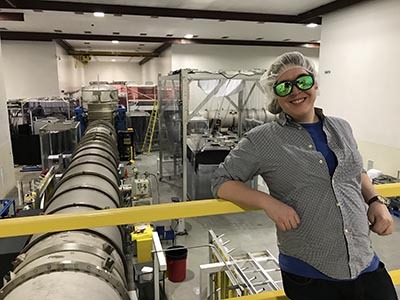 LIGO is shorthand for the Laser Interferometer Gravitational-Wave Observatory, a National Science Foundation-funded project engaging a global network of scientists—including Syracuse University physicists and students—in the study of cosmic phenomena. The project’s founders earned the 2017 Nobel Prize in Physics for its 2015 gravitational-wave discovery. It generated worldwide headlines again in 2017 after the two U.S.-based LIGO detectors, in tandem with Europe’s Virgo detector, identified the collision of two massive neutron stars and the resulting alchemy that would mark the formation of gold, platinum and other heavy metals. Davis and Massinger both initially got involved in detector characterization as part of Syracuse University’s own LIGO team, based in the College of Arts and Sciences’ Department of Physics; Massinger has continued his research in the field at Caltech. The award recognizes the two for their work to clean up data from the two LIGO detectors during the second observing run of the worldwide gravitational wave detector network. Their efforts to clean up glitches and identify transient noise that affected data dramatically enhanced the LIGO detectors’ sensitivity and extended their reach into deep space. “We work in that middle area between the people who build these instruments and the people who are really focused on the astrophysics,” Davis says. “Each of the LIGO detectors has 300,000 different sensors throughout the site, and that means there is a lot of noise coming in.” The job of detector characterization is to sort the important disturbances—those detections that might signify the collision of black holes, for instance—from the scientifically insignificant, “whether it’s a case of ravens pecking on the tubes on the outside of the LIGO detector, a refrigerator on the site that is turning on, or a disturbance triggered by the shaking of one of the optics tables supporting the laser,” Davis says. Derek Davis in the LIGO-Livingston Observatory. In its awards announcement, the LIGO Laboratory credited the work of Davis and Massinger with enhancing LIGO’s astrophysical reach in searches for gravitational waves by up to 50 percent. Peter Saulson, the college’s Martin A. Pomerantz ’37 Professor of Physics who provided faculty support for both Davis and Massinger in their doctoral research, says the award brings well-deserved recognition to Davis and Massinger as well as to some of the critical, behind-the-scenes scholarship that ultimately makes the headline-generating breakthroughs possible. Saulson is a member of the University’s gravitational-wave astronomy group along with Duncan Brown, the Charles Brightman Endowed Professor of Physics in the College of Arts and Sciences, and Stefan Ballmer, associate professor of physics. The University has ties to several leading scholars in the detector characterization field today. In addition to Davis, Massinger and McIver, they include former Syracuse University postdoctoral scholars Laura Nuttall and Andy Lundgren, both with the Institute of Cosmology and Gravitation at University of Portsmouth, United Kingdom; and Josh Smith ’02, who returned to Syracuse for postdoctoral study in detector characterization and now serves on the physics faculty at California State University at Fullerton. Davis appreciates that the award helps underscore the many subgroups within gravitational-wave research—such as detector characterization and calibration—that all play an essential part in driving progress toward the next potentially towering breakthrough. That so many fellow LIGO colleagues in detector characterization share Davis’s Syracuse University connections makes the work even more gratifying.